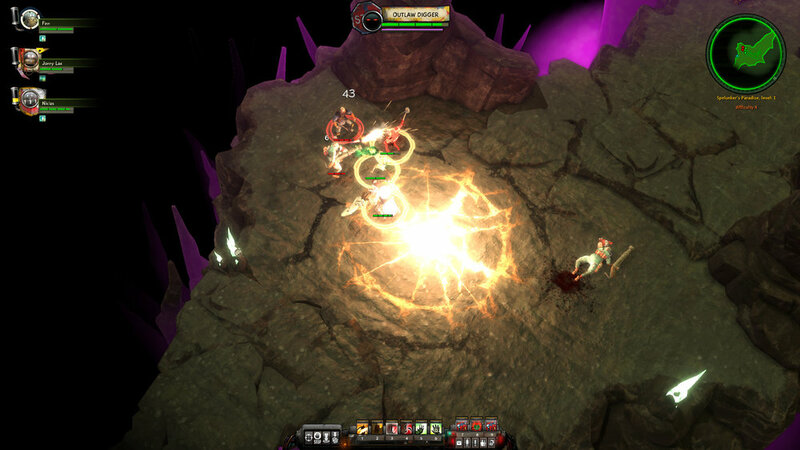 Krater is real-time squad based dungeon crawling adventure. The game combines fast paced combat, tactical squad management, crafting, and questing all seen from a classic RTS perspective. The game universe brings you far into the future of a post-apocalyptic Sweden. Once home to IKEA, Vikings, and Minecraft, today its primitive inhabitants scavenge the broken overgrown world for technological artifacts. At the rim of an impact site known as the Krater, three factions vie for control over the wound opening up into the world below. Consisting of an endless series of caves and tunnels filled with old world treasures and perils, the Underside stretches into the depths of the fallen Swedish civilization. You arrive at the Krater with your team of freelancers to take part in the gold rush where people come back rich or don’t come back at all. Constant dangers as with gameplay affecting threats that can cause permanent issues or even death! Subscribe to the Fatshark newsletter to receive news and updates.